In support of Breast Cancer Awareness month, I've dug out all my pretty pink finds for this weeks Friday Flea Find. 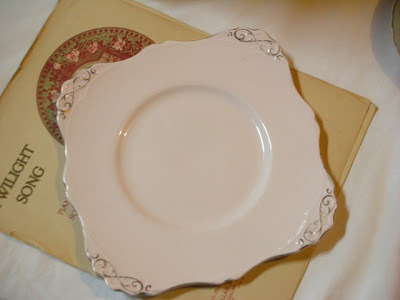 Vintage china in soft pink. I like the curved edges on the first platter. Found these precious pieces at a car boot sale. Milkshake glasses which I turned into floral arrangements . An assortment of pink peonies. 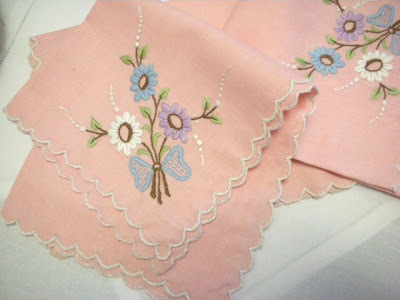 Set of embroidered napkins beautifully embroidered.I like the scalloped edges. By chance found the lot at a Sunday fruit and Veg market. 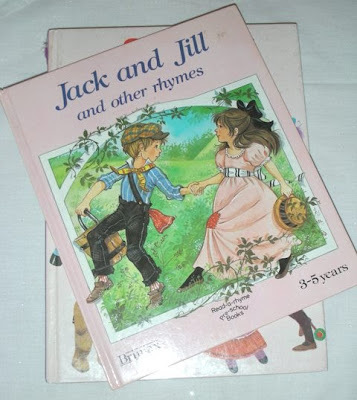 Nursery rhyme book ,pretty illustrations through out the book. Super duper fine for crafting. Found at an Op- shop. 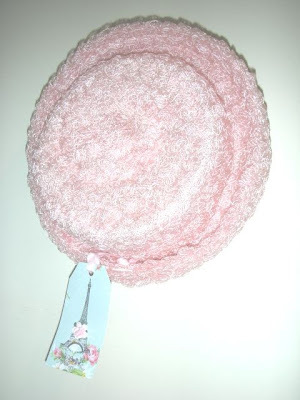 Last but not least, this vintage hat in the sweetest pink was hiding at a garage sale. Glad to have found it! Thanks for visiting my blog. I love, love, love the pink plate in the first picture! And those memory tags in the post before. So pretty! I'm off to look some more. 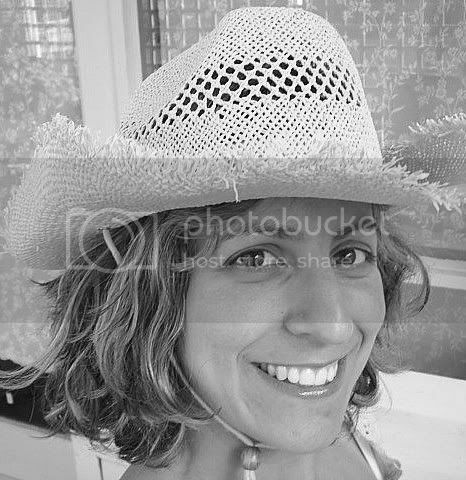 Hi Adla, thank you for visting our new Blog! 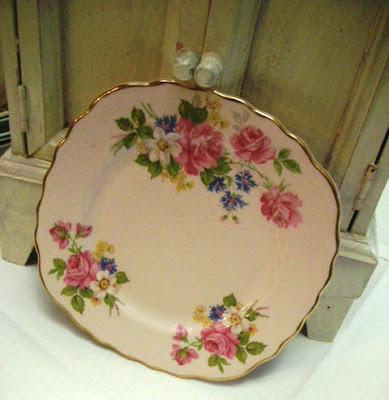 We love the pink plate too, it's very pretty. Enjoying your music selection as well, we'll be regulars! Hi Adla, love to! We've added you too! Thanks for visiting my blog. What very pretty pink finds, my favourite colour. Love your blog too, I will call by again. I love every single thing you got there!!! everything!!! 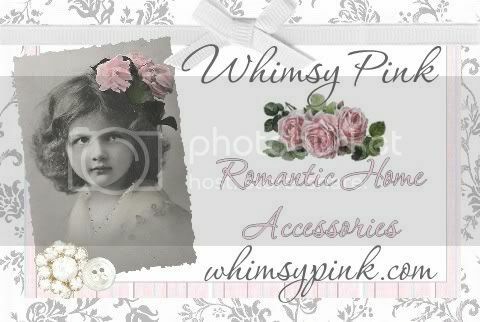 I love all the pretty PINK things! Please let me know if the pale pink plate is for sale! Thank you all for your sweet comments. Always love hearing your inputs. Everything looks gorgeous!! Love them all!